Over-the-knee boots belong in every fall wardrobe because of how simple, chic and sleek they are! We also adore how far up the boots go since they provide an extra layer over our leggings or trousers and keep Us warm. Since boot season is in full swing, we’re going to need a few different pairs to keep in our rotation this winter. The Shop With Us team has just spotted a beautiful Vince Camuto design on sale at Nordstrom that we plan on dropping into our shopping carts immediately. 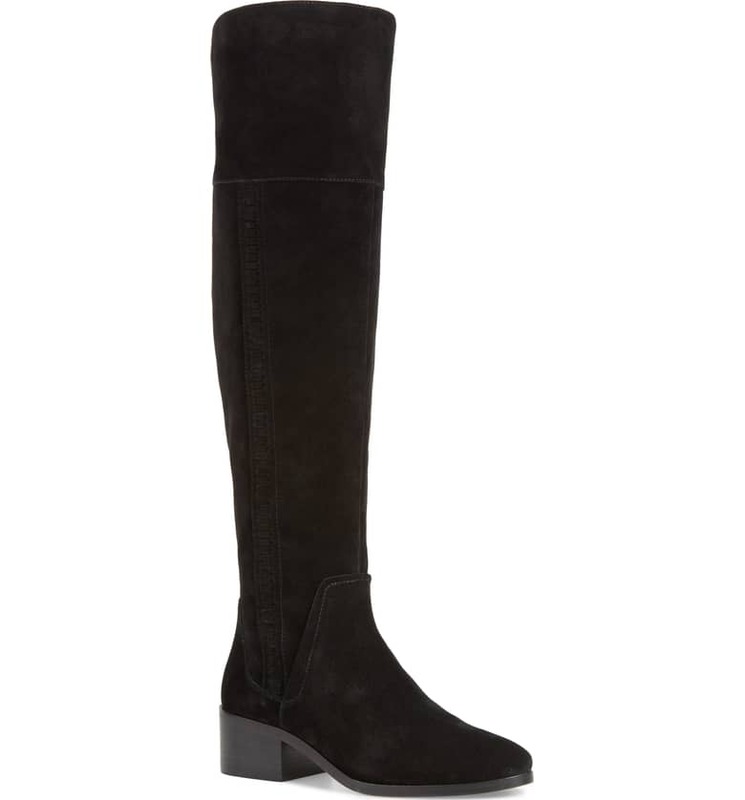 The Vince Camuto Kochelda Over-the-Knee Boot has a tall silhouette, a lovely suede finish, 1-inch block heel and tonal whipstitching along the side for an extra touch of personality. 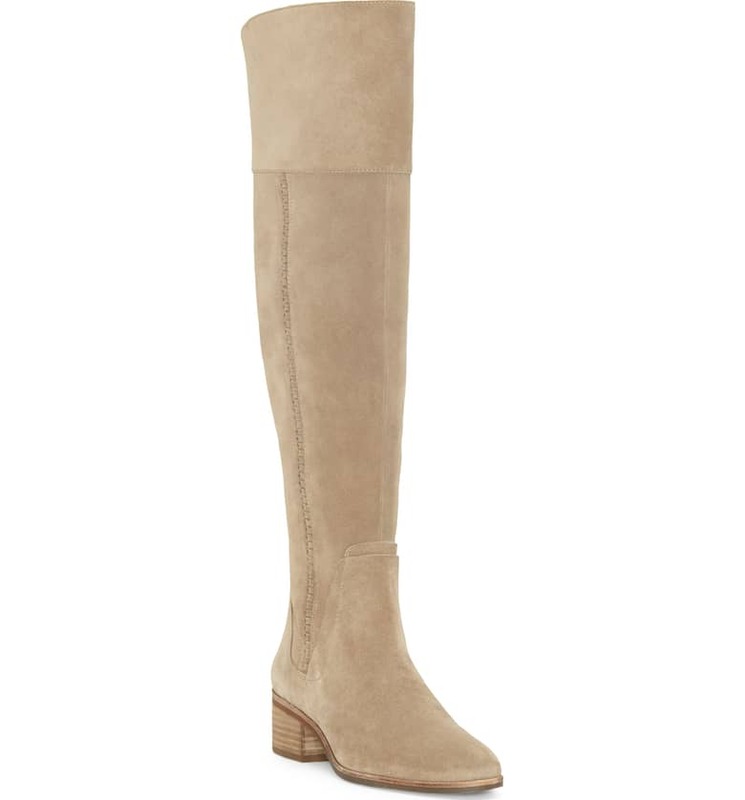 See it: Get the Vince Camuto Kochelda Over-the-Knee Boot (marked down 45 percent off its original $240 price, now $130) while all three colors are available in a variety of sizes. We love how easily these boots can be mixed and matched with so many different wardrobe separates. We’ll be wearing our over-the-knee boots with long-sleeve dresses, skirts, stockings, leggings and tucked skinny jeans. Sizes for the Kochelda boot are available based on color and range from 4 to 12 with a few half sizes included. The shoes come in three shades: black, taupe and grey. 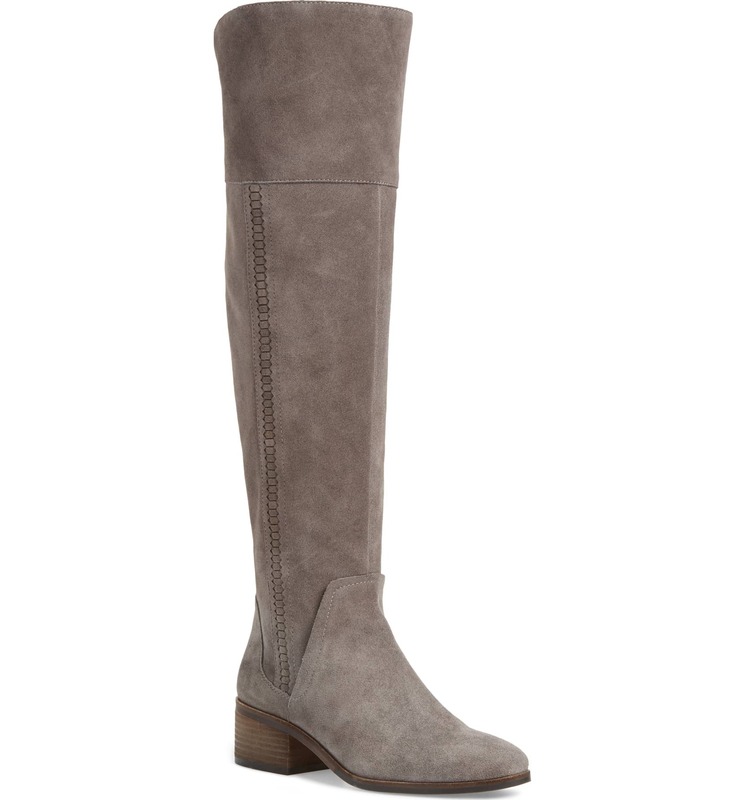 The taupe boot can easily be worn with a variety of neutral hues or incorporated into a lovely monochrome look. We personally love the grey shade! This Greystone suede option is a great alternative to classic black and it really shows off the tonal whipstitching on the side. We’re excited to team the boot with other neutral pieces, as well as various shades of pink. We’ll be wearing the Greystone version of the Vince Camuto boot with our favorite dress and a trench coat for a quick and easy fall ensemble. Lots of shoppers who purchased these boots raved most about their quality and how well they fit their calves without being too tight or loose.